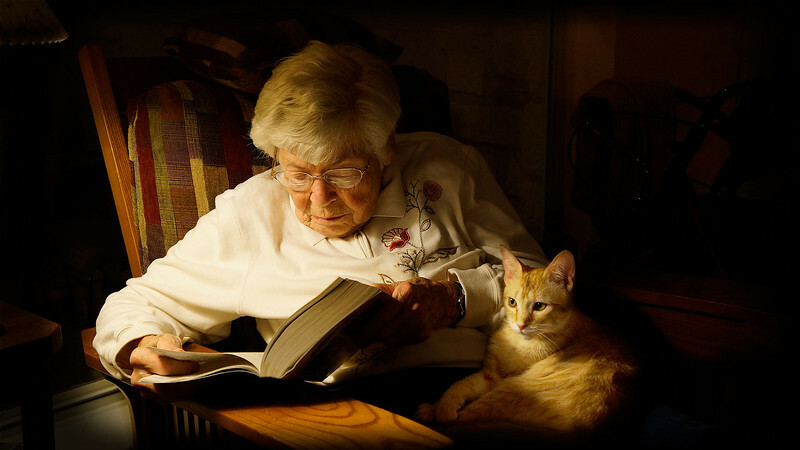 Ursula loved to read large print mysteries but could never wait until the end to find out how they came out. Here we caught her skipping to the end to see if it's worth reading the rest of the book. Benny was quietly sucking the heat out of her lap. This is actually a composite of two shots. Ursula looked great in the first one but Benny was glaring at the camera. He glanced away a moment later and his head was Photoshopped into place. This was printed 24 x 36 on canvas and won first prize as well as the people's choice award in the Imagine 2014 art show at Texas State University.